Have you got a charity of the year for your business? 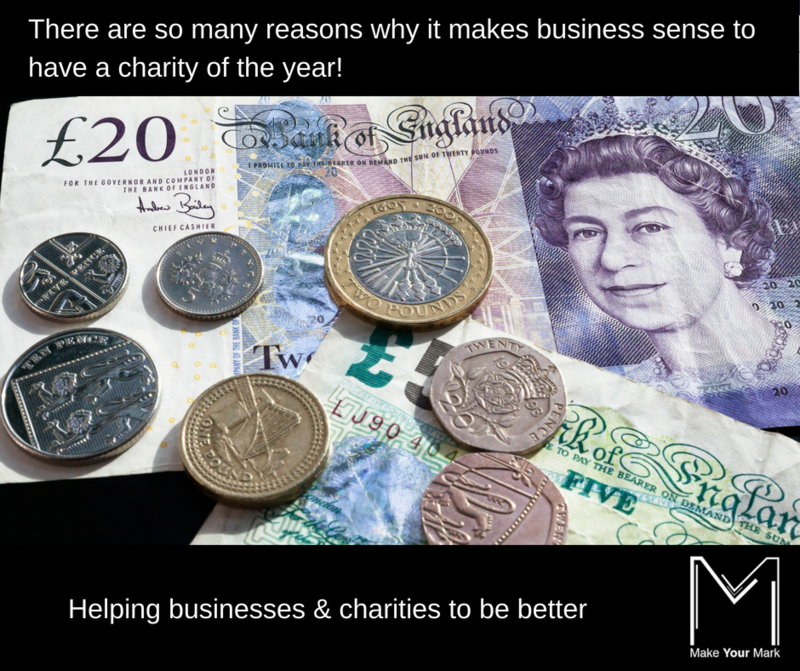 As well as being a ‘good egg’ and really helping a good cause, it’s actually good for business! Would you consider yourself as a descendant of Scrooge and would rather keep your hoards of cash for yourself (ok and may be for your family)? Or do you think you are quite a generous and a giving sort of person and regularly donate to charity or even give your time? Or could you be somewhere in between? 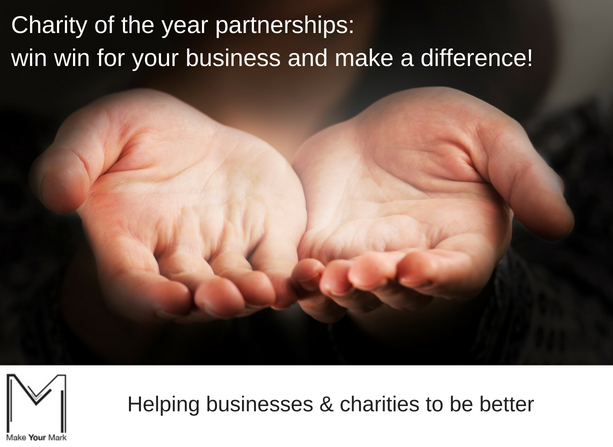 If you’ve not thought about it before, supporting a charity can make good business sense as well as give you that warm fuzzy feel good factor! The question in jargon terms is, ‘do you have a corporate social responsibility policy’ and approach? Here comes the science bit…“Corporate social responsibility (CSR) is a broad term used to describe a company’s efforts to improve society in some way. These efforts can range from donating money to nonprofits to implementing environmentally-friendly policies in the workplace. CSR is important for companies, nonprofits, and employees alike”. For the purposes of this blog, I am focusing on supporting a charity (or indeed charities). From a PR (public relations) point of view, being seen to supporting a charity can help to raise your business profile from the positive PR coverage that you could achieve. Whether you wish to sit in a bath of baked beans for 24 hours; abseil down Blackpool Tower (NB I don’t think that’s actually an allowed thing there before you get any ideas…), or shave your head in the name of charity…such good deeds (and great photo opportunities) could land yourself and your business in the press and on social media! Don’t worry though – you don’t have to do such extreme fundraising challenges: meerly giving your time (volunteering) and business expertise can be just as valuable to a charity than hard cash. You may also want to consider choosing which charity to support in a ‘strategic’ way – i.e. could you pick one that is likely to appeal to your target audience/s of your businesses? Whether you are a sole trader or employ any staff, giving to and supporting a charity can boost the morale of you and your teams. Studies have shown that employees are “twice as likely to rate their corporate culture as very positive” if their company participated in workplace volunteer activities. In essence, it makes them feel respect for and good about their company because they believe it cares for the community. If you are a sole trader or limited company for example, you can pay less tax when you or the company gives money to a charity (or a community amateur sports club) through your business. In such a case, you would deduct the value of the donations from your total business profits before you pay tax. The key point to remember, is to keep a record of your donations. Sounds like a no brainer to me?! Developing your network and trusted relationships with key individuals is an important part of being in business – see my other blog that talked about growing your network. Supporting and working with a charity can be another way of doing this and you never know what doors it could open for you? Shared values – does the ethos of the charity fit with the values of your business? If it does, it’s probably more likely to result in a more successful partnership. Ask your customers, staff or partners to make suggestions – this can be a good way to develop engagement with any of these groups if they believe and support the cause they are suggesting. Appropriate checks – you may want to stipulate that you will only support registered charities as they should have transparent and robust accounting and reporting systems. But, local community groups (that often make a large impact) who are not registered charities should also have such systems in place. Needs and what you can offer – really think about what the charity needs and wants and whether you can offer that. For example, if you are unlikely to be able to raise funds for them but that’s what they need, is that the best fit? Is what you offer, more valuable in terms of giving your time and expertise? In this way, I suppose it’s really thinking about what impact can you make? When choosing which charities Make Your Mark UK support, I think about how can the pro bono consultancy support and training make a difference to the charity and particularly relatively small charities. Does your support a charity of the year? How did you choose it? What sort of things have you done to support the charity? What benefits have you noticed?